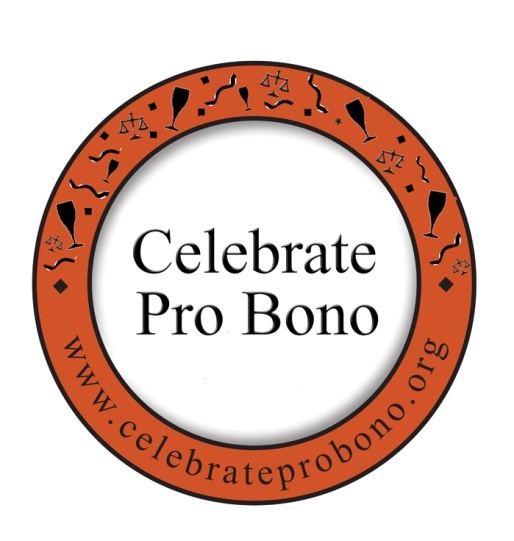 Want to Volunteer with Pro Bono This Year? Get Trained Saturday, October 17! Bring up-to-date copies of your résumé. Practice your personal “tweet” introduction. Prepare a quick sales pitch to let them know who you are, what experience, skills or contacts you can bring to the organization and why you are interested. Be brief. Organizations will appreciate your ability to be concise and direct. Do not take up more than two minutes of their time and don’t resist if the organizational representative wishes to speak with more than one student at a time – follow their cue to make a good first impression. Research employers. Come prepared with one or two specific questions you want to ask. Maximize your few minutes with the organization by ensuring the answers to your questions are not readily available on the organization’s web site. Dress for success. You only have one chance to make a first impression. Business attire is the way to go. Follow up is important. Collect business cards and/or contact information. A good way to keep track of items of note for particular organizations is to write something that was said during your conversation on the back of the organization’s business card and refer to it in your follow-up. Be sure to follow up with an email re-introducing yourself and expressing your interest. Be sure to attach your résumé, even if you already gave them a hard copy. Join us for a panel presentation with Landesa visiting professionals who come from China, Kenya and India. These visitors are grassroots activists, government officials, NGO leaders, researchers, and academics strongly committed to strengthening women’s land rights. The presenters will be addressing the topic, “Access to Justice for Women in Agricultural Livelihoods.” The panel will be moderated by Jen Duncan, a lawyer and land rights expert at Landesa. Space is limited, so arrive early. Light refreshments will be provided. 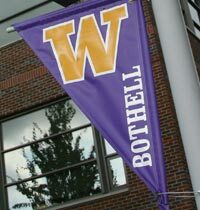 The University of Washington School of Law will be holding two networking training sessions for our international LL.M. students in October. The workshops, run by former Perkins Coie partners, Ping Kiang and Colleen Yamaguchi, will be followed by receptions with food and wine. We have over 100 LL.M. students this year. Many are getting their masters in IP, Tax, and Global Business and will be able to sit for the Washington Bar. The first networking reception will be held on Friday, October 16th at 6:30 p.m. in Room 115 at the Law School, after the students have a two hour workshop and traffic has improved. We would greatly appreciate it if you would attend this lively event and let our students practice their networking skills by chatting with you. K&L Gates has generously agreed to host the second workshop and reception on October 30th. That reception will begin at 5:15 p.m. at the offices of K&L Gates, 929 4th Ave, # 2900. All members of the Bar are invited and encouraged to attend. If you can attend either or both receptions, please email your name and the name of your firm to Kathleen Lemly at lemlyk@uw.edu as soon as possible. If the answer is YES! then you need basic training on the fundamentals of providing pro bono legal assistance! Attendance required for UW Pro Bono Honors Society membership at graduation. 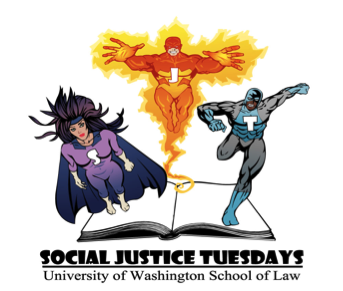 Sponsored by: the UW Law Center for Public Service Law, student-led pro bono projects and the Student Bar Association. This event raises money to support public interest internships for law students, free legal services through our award-winning LGBTQ Legal Clinic, and educational programs benefiting the gay, lesbian, bisexual, and transgender community. Attendees get to mingle, enjoy great food and entertainment, and learn a little about the work of the QLaw Foundation. According to a study conducted by GQUAL, the lack of gender parity, specifically the underrepresentation of women, affects almost all international tribunals and monitoring bodies. They report that women hold only 17% of positions on international courts and 25% of positions on regional human rights bodies. The GQUAL Declaration notes that States are generally responsible for nominating and electing candidates to these international bodies, but often lack transparent guidelines and procedures for such processes. Additionally, most States do not have mechanisms to correct gender disparities. By not respecting the principle of non-discrimination, States Parties may be in violation of Article 8 of the Convention on the Elimination of All Forms of Discrimination against Women (CEDAW). Are you interested in attending an all-expense paid 3 week summer program on Human Rights and Humanitarian Law taught by over 40 world-renowned practitioners and academics at American University Washington College of Law? Well, now is your chance! Submit an essay to the Human Rights Essay Award Competition and you could be the lucky winner to receive a scholarship to attend the 2016 Program of Advanced Studies in Human Rights and Humanitarian Law from May 31 – June 17. This year’s topic is “Extractive Industries and Human Rights” and the deadline to submit is February 1, 2016. Participants have the flexibility to choose any subject related to the assigned topic. The best articles may be published in the American University International Law Review. There is still time to register for the Equal Justice Works 2015 Conference and Career Fair! While the period to apply for prescheduled interviews has closed, students and recent graduates may register through October 9 to speak with employers during table talk and to attend conferences sessions. NETWORK with more than 150 public interest employers. We have heard from many employers and students that interviews and job offers have been secured from meetings during table talk! LEARN during our conference sessions lead by experienced public interest attorneys on international and immigration careers, managing student debt, and how students can organize to fight injustice! Sign up for our pro bono project opportunity for law students. Join and share our free interviewing and networking tips webinar. Print or download our flyer to post around your campus and on your website. View our tentative event schedule. View our panels and workshops. The National Juvenile Defender Center prepared the Juvenile Defense Policy and Practice Career Resource Guide to provide students and others with valuable resources to jumpstart a juvenile defense career. It includes information on coursework and externships that will help strengthen a candidate’s application in the juvenile defense field; resources to guide in the search for juvenile defense jobs, fellowships, and funding opportunities; and a list of offices around the country that provide employment and internship opportunities specific to juvenile defense. Click here for the resource guide. Would you like access to free hands on legal training, CLE credits, and networking opportunities to help start your own law practice? If so, ELAP Family Law Fellowship is the Answer! Eastside Legal Assistance Program is now accepting applications this month for this November’s fellowship class. The yearlong program is an opportunity for newly licensed attorneys pursuing a career in family law to gain direct experience in a supportive environment. Fellows volunteer half-time while receiving computer access, desks, phones, mentorship and training in Family Law, Domestic Violence, motions practice and pre-trial/trial preparation. ELAP will also provide law office management training to assist the attorneys in establishing their own offices. And Fellows are covered by ELAP’s malpractice insurance for all work done on ELAP cases. Did You Save Room for Food Justice? 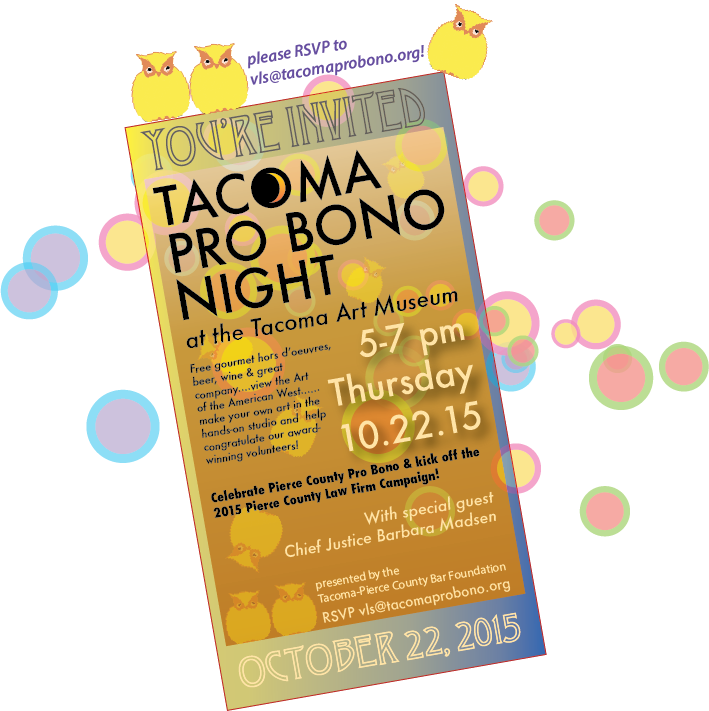 What do pro bono, wine and chocolate all have in common? They are good for you! Please join us for the 2015 Pro Bono Fair where representatives from legal services organizations will be available to meet with lawyers and law students looking for pro bono opportunities. Learn how you can put your skills to use (and develop new skills) helping immigrants, veterans, nonprofits, low income entrepreneurs, victims of domestic violence and much more while tasting a variety of wines and chocolates. Retired Federal Public Defender, Tom Hillier is the featured speaker. Join us for a community discussion and screening of FOOD CHAIN$, a documentary about the human costs of our food supply. From wages to threats and violence, FOOD CHAIN$ explores the food industry’s treatment of farm workers and the role large buyers play in keeping wages low. The film was executive-produced by Eva Longoria and Eric Schlosser, author of Fast Food Nation. Narrated by Forest Whitaker. Be one of the first to see FRUITS OF JUSTICE, a short film highlighting a true grassroots movement in Washington’s Skagit Valley. You’ll meet farm workers who formed their own union, Familias Unidas, to seek living-wages and fair treatment in the fields. When management sought to thwart their efforts, the workers responded with protests, boycotts, and social media campaigns and enlisted the help of dedicated public interest lawyers to fight for justice. Immediately following the screening will be a panel discussion led by FOOD CHAIN$ director Sanjay Rawal, featuring national and local food justice activists and advocates dedicated to tackling issues related to fair production and access to healthy food for all. Feed your mind during intermission with refreshments and the photo exhibition “Faces of Food Justice” by Audra Mulkern of the Female Farmer Project. For tickets, click here. To read more, click here. International aid: Does it help? Feature-length movies include: RESISTENCIA, THE HAND THAT FEEDS, and POVERTY, INC.
Want to learn about the basics of asylum law and procedure? The Northwest Immigrant Rights Project is putting on a CLE training graciously hosted by Davis Wright Tremaine. The training will cover asylum’s definitions, its elements, bars to asylum eligibility, alternatives to asylum, asylum procedure, procedural issues, and mock interview/questions. To register, download the registration form here. Send the information to Jordan Wasserman. Is your calendar looking empty? Add these informative events to your schedule! Want to learn more about rising rents? Want to learn more about city government? Attend a Seattle City Council Meeting on Tenant Relocation. Many of you have been hearing about the epidemic of displacement in Seattle through our emails, the news, or your friends. Or perhaps you have experienced displacement yourself. From the Lockhaven to the Theodora to buildings in Columbia City, the Tenants Union has been supporting tenants who resist development and displacement. We will continue to support tenants in their building fights, but we also need to organize for legislative change to slow the system down. Please join us at our first mobilization and teach-in for the campaign. The event will take place on Friday, February 20th at 2:00 PM at the City Hall Council Chambers 600 4th Avenue, Seattle, WA 98104. This annual event sustains a local dialogue among diverse community voices around the systemic issues of urban poverty. This year’s program addresses debt–in particular, how debt impacts poor people (particularly people of color) in the Pacific Northwest. Speakers include Eddie Rye, host of the Urban Forum Northwest on 1150 AM Radio; Pamela Banks, President and Chief Executive Officer of the Urban League; Jonathan Grant, Executive Director of the Tenants Union; and tenants themselves, telling their own stories. The program also features a dramatic performance by The Mahogany Project. Learn from faith-based organizations, local nonprofits, and other concerned citizens about their efforts to help local citizens survive what’s been characterized as a “national epidemic” of consumer debt. Please join us in Room 127 at 12:30 PM to learn more about the grant application process. 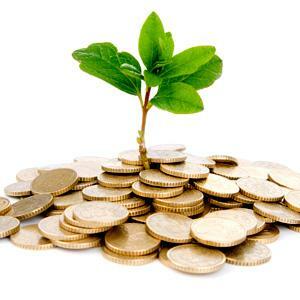 Topics of discussion and questions answered: What to expect on a grant application? Where to find grant applications? Working with your organization/internship to prepare a grant application? Tips for writing applications? Understanding loan repayment and public service loan forgiveness are key to a public service legal career. Equal Justice Works is offering free, live webinars on 2/26 and 3/31 to help. Sign up for a live webinar that works for your schedule – (2/26 3pm ET) http://ow.ly/JhPjo or (3/31 6pm ET) http://ow.ly/JhPug. Register even if you cannot attend. You will be sent a link to the recording of the webinar. Join us for an open discussion on Diversity and Justice issues in our community! 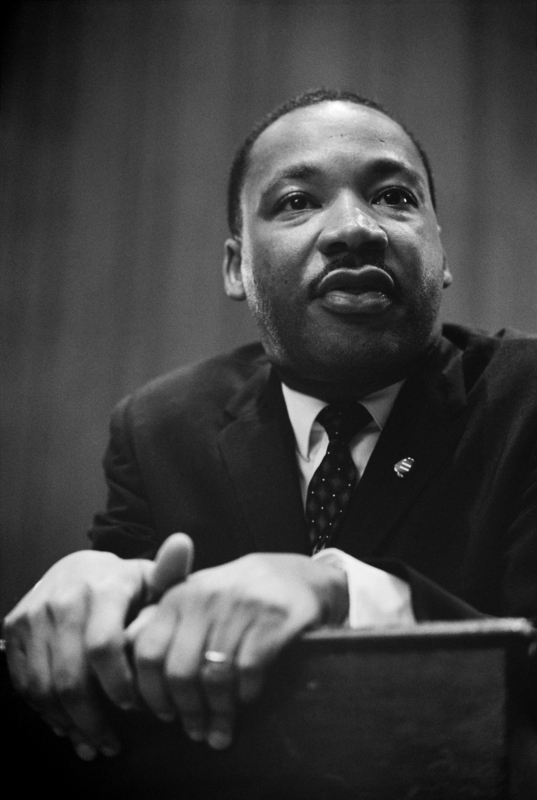 Celebrate the unveiling of the MLK Jr. photographs in­stalled at the UW School of Law & hear from the photographer, Ber­nard Kleina. Mr. Kleina is a founding member of the National Fair Housing Alliance and past President of the Chicago Area Fair Housing Alliance. Join us in welcoming Mr. Kleina and hear about his experi­ence documenting the historic civil rights movement through his photography. 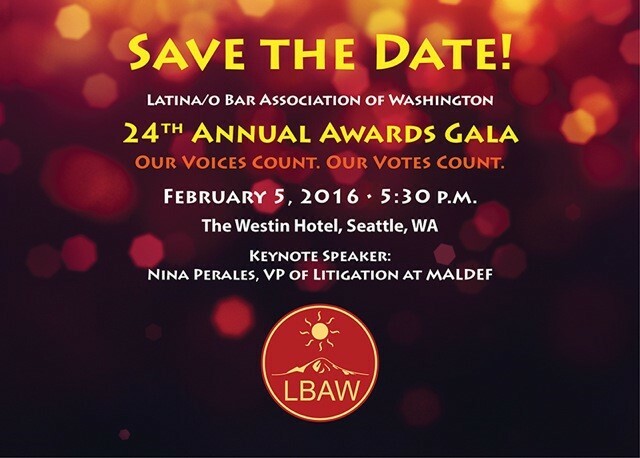 The Washington State Access to Justice Board will host a Supreme Court Forum and Networking Reception immediately following the Annual Goldmark Award Luncheon, a statewide convening of attorneys, judges, and students. During the Forum, Justices will participate in interactive discussions on topics pertinent to civil legal aid and access to justice, including leadership, race equity and the role of the justice system, and alternative structures for providing access to justice. The forum will conclude with a reception where individuals can continue the conversation and learn more about the exciting work of the Access to Justice Board. Forum & reception: To register for the forum and the reception, please email Ann Spangler, [spangler@uw.edu]spangler@uw.edu, by February 24, and indicate which programs (Forum from 2:00pm – 3:30pm and/or Reception from 3:30pm – 5:00pm) you plan on attending. 3/4: What is social justice philanthropy? Why does it mattter? How can YOU get involved? Join us on March 4 from 12:30 PM -2:00 PM at the Ethnic Cultural Center, Chicano Room to hear from our panelists about their experiences with social justice philanthropy. Panelists will include: Tammy Nguyen (Got Green), Christine Angtuaco (Evans School MPA Candidate), and Professor David Suarez (Evans School of Public Affairs). the vent will be moderated by our own Laurie Carlsson. Hosted by the Center for Applied Feminism at the University of Baltimore School of Law, this two-day conference will highlight important issues in women’s rights and analyze how the Feminist Legal Theory lens can be applied in legal analysis. 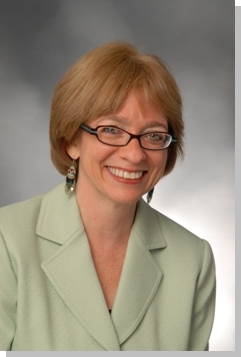 The event will take place at University of Baltimore School of Law (John and Frances Angelos Law Center) and will feature keynote speaker Chai Feldbaum (EEOC Commissioner). Happy Halloween! Celebrate Dia de Los Muertos with El Centro de la Raza! El Centro de la Raza will hold its 10th annual Día de los Muertos (Day of the Dead) event this Saturday, November 1st from 5pm to 9pm. A chicken mole dinner will be served from 5:30pm to 7pm. This year we call attention to the humanitarian crisis of the refugee children of Central America, the children who have died from violence in their countries, and the moral obligation of the U.S. to respond humanely to this catastrophe. The World Affairs Council is hosting Puneet Talwar, Assistant Secretary for the Bureau of Political-Military Affairs. Assistant Secretary of State Talwar will give an overview of the crowded roster of international crises and ongoing threats to U.S. security and interests—from ISIL to Russia to emerging threats. Informed by his current position at the State Department and his previous experience at the White House and Capitol Hill, Talwar will discuss current policy direction and U.S. efforts, including security partnerships, to counter the threats the United States currently faces—including those that are not necessarily making headlines. Yet. Register now, tickets are limited. November 4: Ferguson – What’s Next? Join the First Year and Pre Major (CUSP) Office for a fireside chat on Ferguson, Missouri and the Aftermath of the shooting of Michael Brown. We will be hosting Dr. Alexis Harris, Associate Professor of Sociology at UW Seattle, Dr. John Vinson, Chief of Police, UW Police Department, and Marcus Johnson, Graduate Student from the Masters of Cultural Studies Program at UW Bothel. The conversation will be moderated and the audience will have the opportunity to interact with our guests and each other. We want to hear from you! We know that employers and employees have many questions about how the Minimum Wage Ordinance will be implemented. Registration is not required, but it is helpful for planning. Reasonable accommodations and language interpretation for meetings are available on request. Call 206-684-4507 for more information. Childcare will be available for the evening meeting on Wednesday, November 5. Please note any other special requests on your registration form. Visit http://www.seattle.gov/civilrights/minimumwage.htm for up-to-date information about Seattle’s Minimum Wage Ordinance. The website features a new Frequently Asked Questions section, plus links to the ordinance and contact information for submitting questions and comments. The site also will list other public meetings and events as they are scheduled. If you would like lunch please RSVP via Symplicity or gatespsl@uw.edu RSVP by 12:00 pm, Monday, November 3, 2014. Join the General Externship Perspectives Seminar on Wednesday, November 5 at 5:30 p.m. in room 207 to hear guests David West and Travis Stearns discuss lawyer mistakes. Mr. West handles risk management for the Garvey Schubert Barer firm. Mr. Stearns, a long time public defender, works with the Washington Defender Association. The Minority Bar Associations (MBAs), together with the Washington State Bar Association (WSBA), invite you to a joint networking event in Tacoma. This is your opportunity to meet and mingle with fellow attorneys in and around the South Sound. Join us! Light appetizers will be served with no host bar. RSVP by Monday, November 3 to: diversity @wsba.org. Sponsoring MBAs: Mother Attorneys Mentoring Association of Seattle (MAMAS), Pierce County Minority Bar Association (PCMBA), South Asian Bar Association of Washington (SABAW), Vietnamese Bar Association of Washington (VABAW), and Washington Women Lawyers (WWL). Please join us at our Annual Meeting on Thursday, November 6th. RSVP today! This free event features a light breakfast, a dialogue with legislators, and an opportunity hear what is at stake for kids in the 2015 legislative session. The panel discussion with state legislators will focus on advocacy strategies to advance race equity and improve the lives of all Washington’s children. Bring a friend, your questions for legislators, and your voice for kids! Children are welcome and a space for children’s activities will be provided. You are invited to enjoy the exhibits of the NW African American Museum following the event. Please RSVP online or contact Emijah Smith at 206.342.0340 x25. caring for a loved one in need, this day is for you. Participants are welcome from all professional disciplines and life circumstances. The cost for CEUs is $30 and must be paid for at the time of registration.